A Java servlet is a Java software component that extends the capabilities of a server. Although servlets can respond to any types of requests they most commonly implement web containers for hosting web applications on web servers and thus qualify as a server-side servlet web API. Such web servlets are the Java counterpart to other dynamic web content technologies such as PHP and ASP.NET. A Java servlet processes or stores a Java class in Java EE that conforms to the Java Servlet API, a standard for implementing Java classes that respond to requests. Servlets could in principle communicate over any client–server protocol, but they are most often used with the HTTP. Thus “servlet” is often used as shorthand for “HTTP servlet”. Thus, a software developer may use a servlet to add dynamic content to a web server using the Java platform. The generated content is commonly HTML, but may be other data such as XML and more commonly, JSON. Servlets can maintain state in session variables across many server transactions by using HTTP cookies, or URL mapping. JAX-WS the Java API for XML Web Services useful for SOAP Web Services. To deploy and run a servlet, a web container must be used. A web container (also known as a servlet container) is essentially the component of a web server that interacts with the servlets. The web container is responsible for managing the lifecycle of servlets, mapping a URL to a particular servlet and ensuring that the URL requester has the correct access rights. The Servlet API, contained in the Java package hierarchy javax.servlet, defines the expected interactions of the web container and a servlet. A Servlet is an object that receives a request and generates a response based on that request. The basic Servlet package defines Java objects to represent servlet requests and responses, as well as objects to reflect the servlet’s configuration parameters and execution environment. The package javax.servlet.http defines HTTP-specific sub-classes of the generic servlet elements, including session management objects that track multiple requests and responses between the web server and a client. Servlets may be packaged in a WAR file as a web application. Servlets can be generated automatically from JavaServer Pages (JSP) by the JavaServer Pages compiler. The difference between servlets and JSP is that servlets typically embed HTML inside Java code, while JSPs embed Java code in HTML. While the direct usage of servlets to generate HTML (as shown in the example below) has become rare, the higher level MVC web framework in Java EE (JSF) still explicitly uses the servlet technology for the low level request/response handling via the FacesServlet. A somewhat older usage is to use servlets in conjunction with JSPs in a pattern called “Model 2”, which is a flavor of the model–view–controller. If you wish to build up your Java Servlet knowledge first, check out our Java Servlet Tutorial – The ULTIMATE Guide. In this example we are going to see how to create a simple Java Servlet. 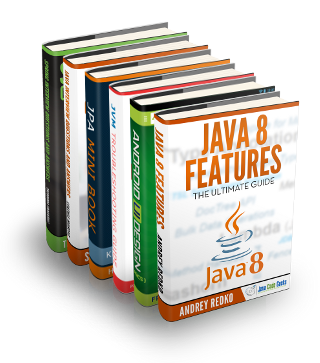 In this article we will cover the basics of Servlets using Java 8, in a servlet 3.1 compliant container. In this example we explore three of the HTTP methods that Servlets API use to receive the requests: get, post and service. In this article we will briefly discuss what Xampp is and how to “run” a Java Servlet application from it using linux. In this article we illustrate a simple chat program using a Websocket endpoint. In this example we will explain the Servlet Lifecycle. In this example we will show you how it all works out in the servlet container. In this article we will demonstrate a simple Servlet and JSP example using the maven cargo plugin from the command line. In this article we will demonstrate deploying and running a simple web application via a servlet container. In this tutorial we will show you how to set up the File Upload and Download functionality in a Servlet based Java web application. In this tutorial we will see how to configure the Basic Authentication in the servlets. In this tutorial we will show you how to set up the Session Timeout in a Servlet based web application. In this tutorial we will see how to tackle these exception handling in the Servlet. In this tutorial we will see how to achieve the Session Management in Servlet Java programming. In this tutorial we will explain and show you how to connect the servlet to the database. In this tutorial we will explain how to handle the JavaBean in a Servlet. In this tutorial we will explain and show you how to handle the hidden fields in a Servlet. In this tutorial we will understand what Async Servlet is. In this tutorial we will see how the Servlet annotations can replace the equivalent XML configuration in the web deployment descriptor file (web.xml). In this tutorial we will explain how to implement the Servlet Filter API to handle the client requests. In this tutorial we will explain how to handle the Servlet HTTP POST Request parameters. In this article we illustrate how to generate a zip (compressed) file via a GET request to a custom servlet. In this example we will see how to use servlet to upload a file. We will be just uploading the file to a server folder. In this example we will explain how to perform authentication using a servlet running on WildFly application server and Eclipse. In this tutorial we will explain and show you how to use the HTTP response headers in the Servlet page. In this tutorial we will explain and show you how to display the HTTP header information of a request in the Servlet page. In this tutorial we will explain how to handle parameters of the Servlet HTTP Request. In this example we will talk about the Java Servlet Set/Get variables. In this example we are going to see how to get client’s address and hostname in a Servlet. In tutorial we will show you how to get all Init Parameters in Servlet. In this example we are going to see how to get/set init parameters in a Servelt. In this tutorial we will show you how to get all requests parameters in a Java Servlet. In this tutorial we will show you how to get request parameter in a Java Servlet. In this example we will show you how to get all the Request Headers in a Servlet. In this example we will show you how to get Request Headers in a Servlet. In this tutorial we will show you how to store the user information in the cookie object and access it in the Servlet. In this tutorial we will explain and show you how to call a Servlet method on a button click. In this section you will learn about registering AsyncListener with the recently created AsyncContext with an example. In this example we are validating the login credentials entered by the user. In this tutorial we will see how the javax.servlet.RequestDispatcher interface is used to forward or include the response of a resource in a Servlet. In this tutorial we will be demonstrating a simple example of how to use ServletContextListener to make some global initializations and configurations. In this tutorial we will see how the ServletContext and ServletConfig are different from each other.